While we’re all getting stuck into our chocolate Easter eggs, we think it’s a fine time to have a look at some other sweet things – wedding cakes! Just like wedding dresses, flowers and décor, cakes are subject to the vagaries of fashion. So grab a cuppa and a marshmallow egg, why don’t you, plonk down in a comfy chair and check out our five must-have wedding cakes of the year…Spoiler: Bye-bye, wedding cupcakes! Yeah, you heard us – Dress. It. Down. 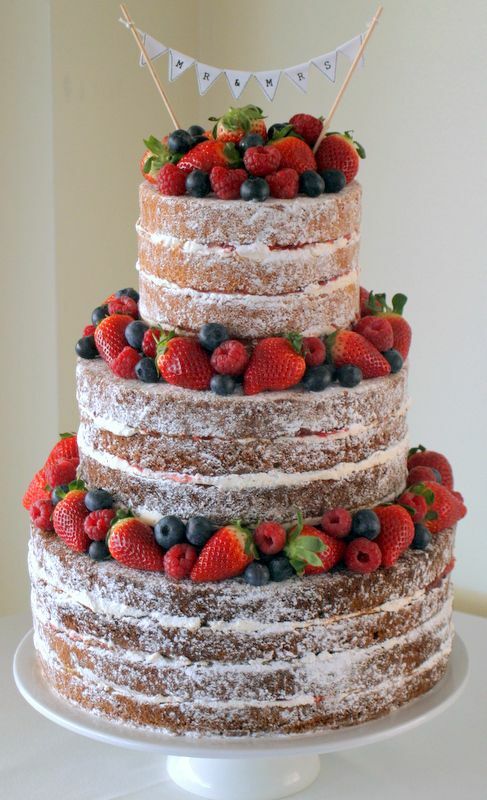 Naked cakes are crashing weddings and baring it all…Now, you’re intrigued – what is a naked cake? 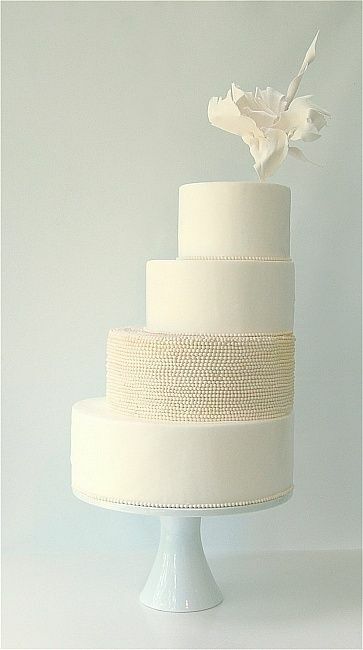 It’s a wedding cake sans an outer layer of icing or frosting, exposing the gorgeous inner layers – whacha see is whacha get! 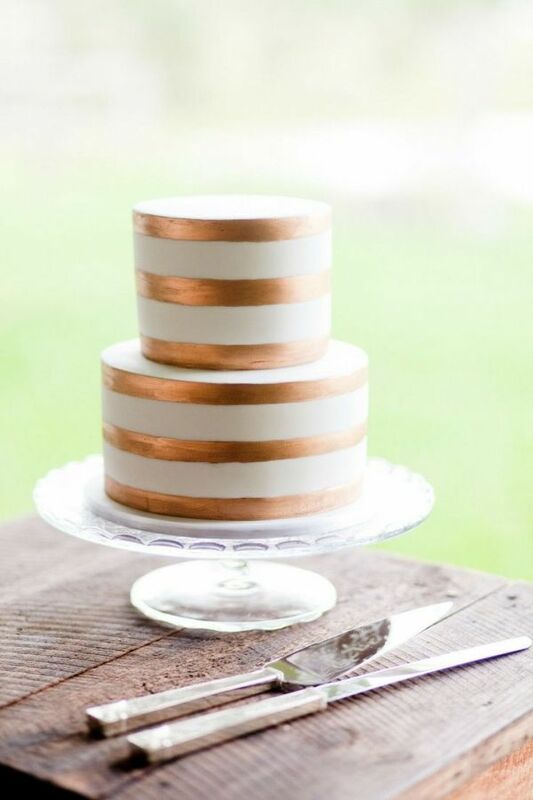 Says naked cake creator Christina Tosi, the whole point is to showcase the actual recipe, rather than just the cake as a ‘visual spectacle’ – old-fashioned substance over style. It may be a backlash against window-dressing, but the effect is nevertheless quite breathtaking! Alas, it’s true! Whilst cupcakes will always have a place in every gal’s heart, the cupcake trend is on the wane (sob!). 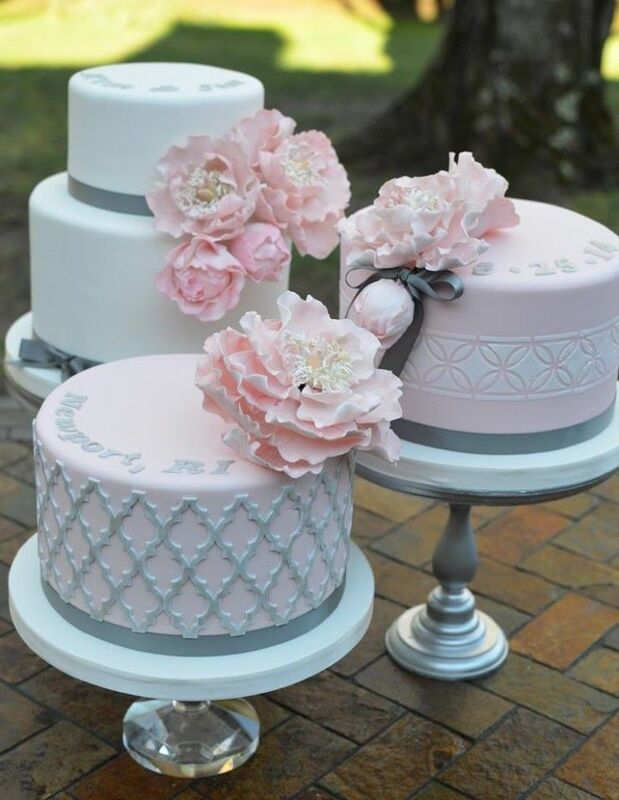 For weddings, cakes are sizing up and multiplying – it’s now en vogue to go for three different types of cakes (or more, if the budget allows), set out at a so-called cake bar. The beauty of this arrangement, of course, is that you can offer all your favourite flavours – vanilla, chocolate, carrot cake, whatever your heart fancies! To get this trend right, each one should be a one to three-layered cake, which tie into your theme in different but complimentary ways. Hooray – perfect ‘plastic icing’ has had its day! Instead, we’re seeing a move back towards buttercream icing done in a less structured, more textured manner. Swirls and ruffles are particularly hot, but be warned, it takes the practised hand of a true artist to achieve. 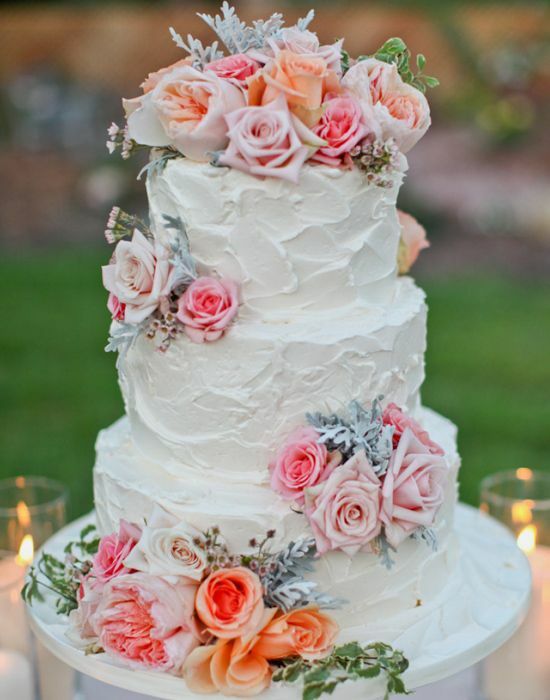 To get that vintage feel we’re all loving right now, decorate your roughly iced cake with real flowers or fruit. Finally, cakes which not only look good, but taste good, too! Hang on – what’s the difference between buttercream icing and plastic icing? ‘Plastic’ icing isn’t really plastic – it’s sugar paste, or fondant, icing and is made from sugar, water and (sometimes) egg whites. While it’s edible, it’s more aesthetically pleasing than it is truly delicious, and is used to get that super-smooth look that you see on wedding and Christmas cakes. Buttercream icing, on the other hand, is made from sugar, butter, eggs and other flavourings, such as chocolate, vanilla, caramel, etc. Who doesn’t like a bit of bling on their wedding day? Bronze, silver, gold or platinum – it’s all enjoying its moment in the sun. Metallics pair particularly nicely with themes containing these colours – mint; emerald green; white; lilac; dusty pink and tiffany blue. When going metallic, do follow the less is more principle – have one metallic layer, for example, or a light dusting of metallic on a matte base colour, and keep accessories to a minimum for best effect. If bling ain’t your thing, white-on-white is completely cool, classy and contemporary. Without other colours to inject interest, this white hot look is all about texture and height. Build an extravagant multi-tiered cake, play with contrasting shapes within each layer, and embellish with sugar patterns, petals and pearls.